Vaqueros, from vaca, the Spanish word for cow, were Native Americans conscripted by wealthy Spaniards to herd cattle on the Mexican plains. Often barefoot and wearing whatever clothes they had, the vaqueros became spectacular riders and masters of the art of cow herding. Three hundred years later, they taught the settlers to the American West how to round up cattle, bring down a steer, and break a wild bronco. Cowboys picked up their clothing, saddles, and lingo from the vaqueros. 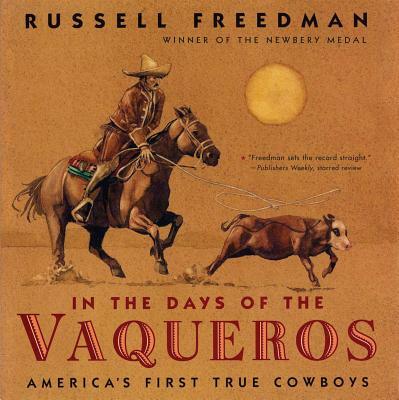 But it is the cowboy whose fabled reputation we remember, while the vaquero has all but disappeared from history. Freedman sets the record straight. Freedman tells the story with depth, clarity, and a vigor that conveys the thrilling excitement of the work and the macho swagger of the culture.